Connect with end users in real time and control their computers to solve issues fast. Live help when it’s needed most. If you’ve got someone on the phone or in chat who needs help now, you can rise to the challenge right then and there. 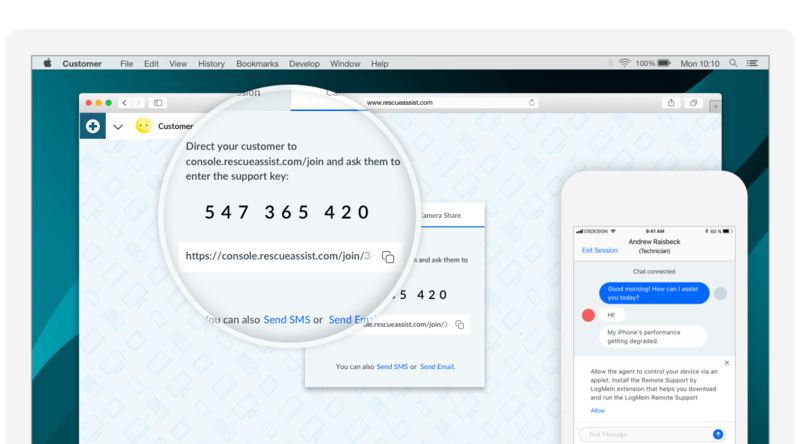 Starting a RescueAssist session takes no time, so you can immediately invite your end user to join you. Then view their screen and take control to solve their problem. It’s the fastest way to get users back on their feet with end user support. You can invite people to join your support session in a number of ways. 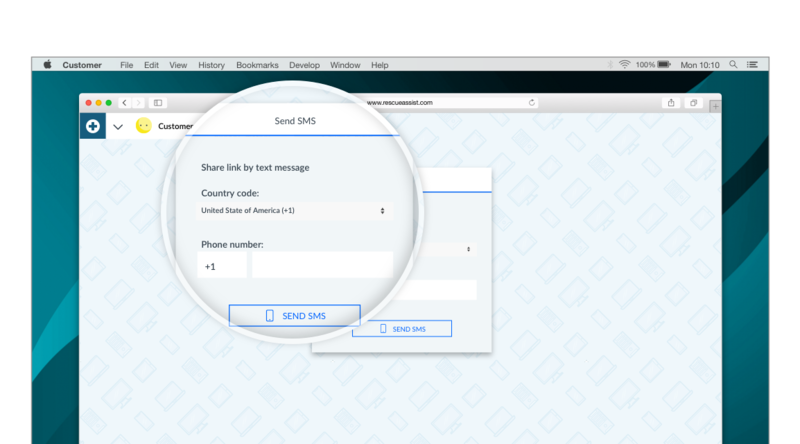 Once a session has started, you can email the support URL or copy the info into a chat window. If you’re on the phone already, simply share the support key and have them enter it at www.fastsupport.com. Whichever method you choose, your end user can connect in seconds. Easily switch between all f your customer’s monitors.